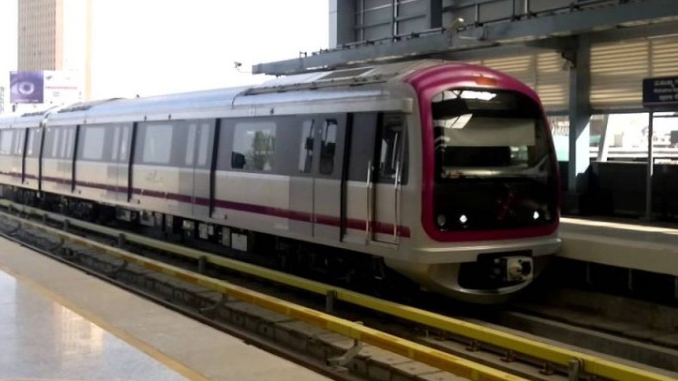 The 72 km long Namma Metro’s Phase-2 project received a boost as the BMRCL (Bangalore Metro Rail Corporation) has got possession of 44.45 acre of forest land from the Central government. BMRCL can now finally go ahead with construction of 3 stations and a depot on the east-west corridor between Baiyyappanahalli and Whitefield. Recently, the MoEF&CC (Ministry of Environment, Forest and Climate Change) had approved in-principle the diversion of forest land for a period of 20 years, subject to the fulfilment of 13 conditions. In exchange, MoEF&CC will receive around 30 acre of land in 6 villages of Kali Tiger Reserve forest and another 16.21 acre of non-forest land in Thippagondanahalli village. Among the 13 conditions, BMRCL is directed to bear the cost of compensatory afforestation, which will be taken up in both the non-forest lands given to the forest department. The legal status of the forest land will remain unchanged. With this acquisition, BMRCL has taken possession of around 98.3% of the land it requires for 19 km Metro corridor and 13 stations on the eastern extension of the east-west corridor of Phase-2 (Reach-1). Rail Analysis insights: BMRCL can now finally go ahead with construction of 3 stations and a depot on the east-west corridor between Baiyyappanahalli and Whitefield.